Love your stock Reminders app but you feel like you need some more? Get GoodTask 2 and it's done. 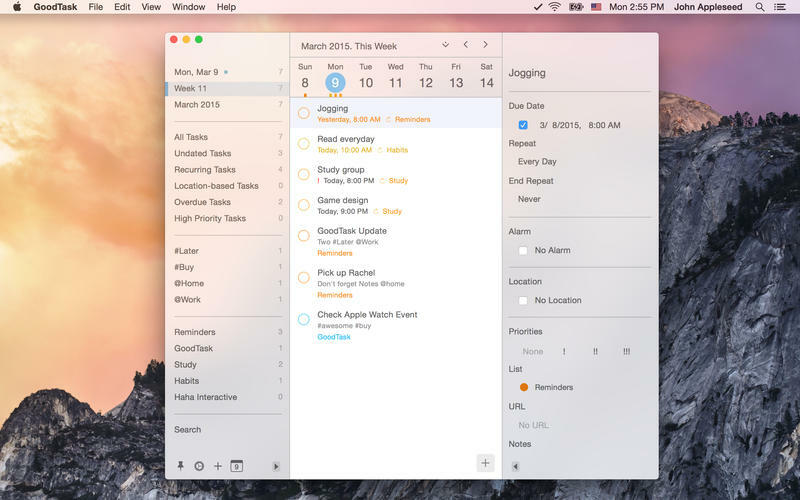 Reminders have been completely reimagined and with GoodTask 2, it's now a powerful task manager. Your tasks are on a calendar. View your tasks on daily/weekly/monthly basis. Navigate through dates and see what you've done and what you should do. Tags can be added on your title or notes easily. You can make Tag Lists to manage them separately. Switching between tags are simply done with a right-click. 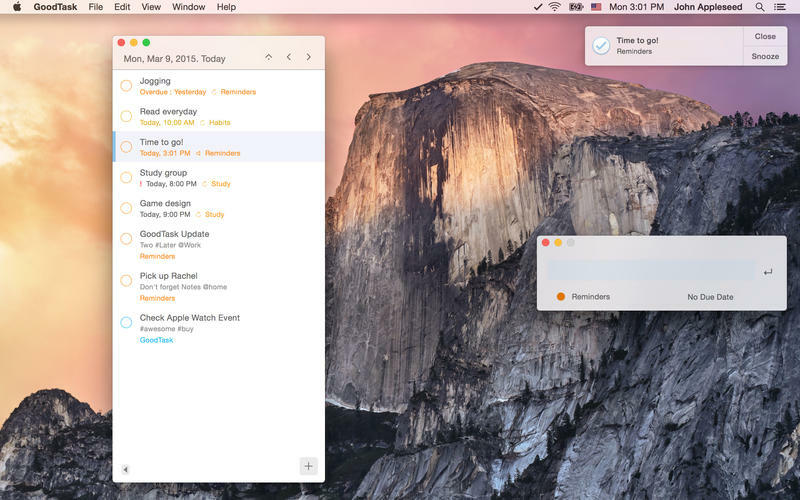 Use Reminders with GTD method or any way you want. Add new tasks with Smart Add. Make your own rules and add new tasks easily. Command-enter will let you keep the settings to make multiple tasks super fast.